This month will be a musical one indeed. See below for the following masterclasses and concerts. 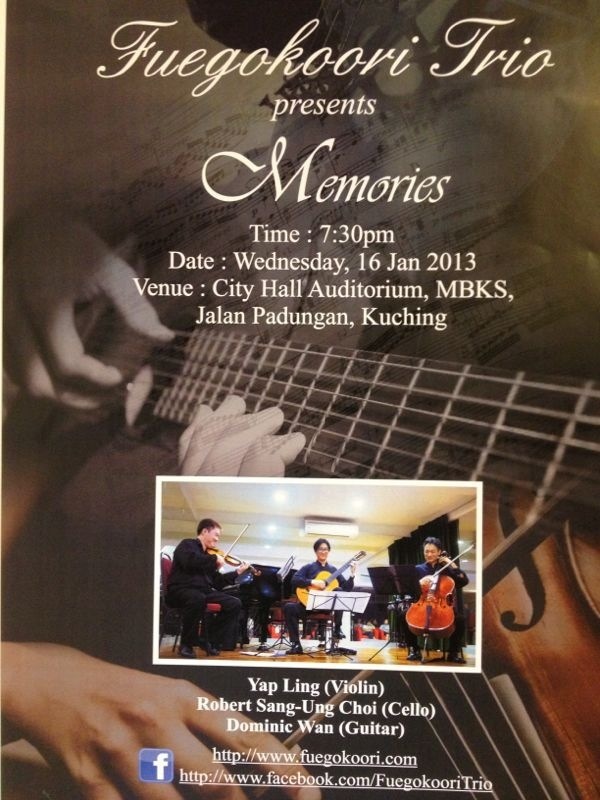 Tickets can be obtained from Classic Music Conservatory (CMC) in Kuching. Please contact Mr. Brian Lee for details (0 12-886 3588). Details on the concert and venue as shown below. Fuegokoori Trio Comes to Kuching! 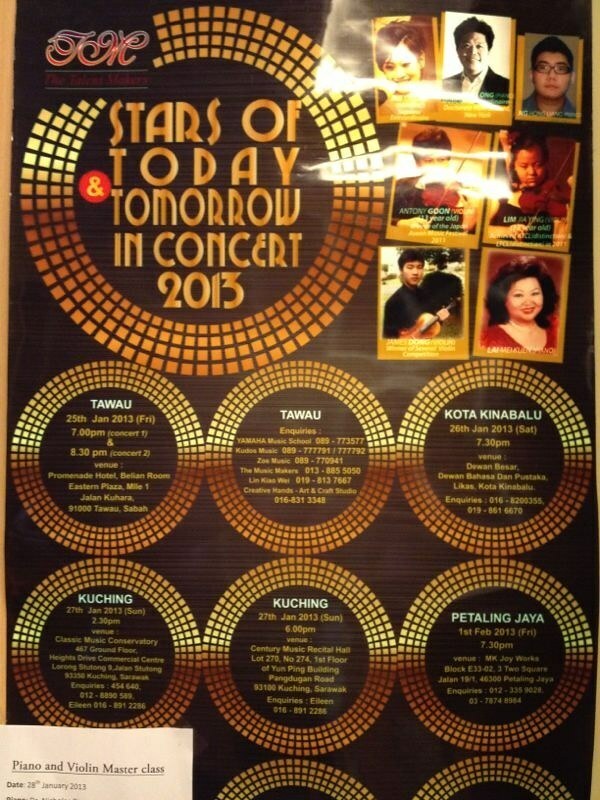 Concert Ticket Price: RM 30.00 (students), RM 50.00 and RM 100.00 for adults. Masterclass fee (Dr. Nicholas Ong – Piano, James Dong – Violin): RM 250.00 per hour.